Nolwenn...Alexandra...Two Quiot Daughters whose first names are full of history and legend.Two of heroic and royal destinies.Two destinies filled with passion and ambition.Two assertive destinies in search of independence.From the white angel to that which protects man. Much more than just a "Cuvée", this wine represents a true story, it is a tribute, rich in meaning and symbology.A little bit of secrecy..a bit of sophistication...Steeped in tradition and in that yet to come. 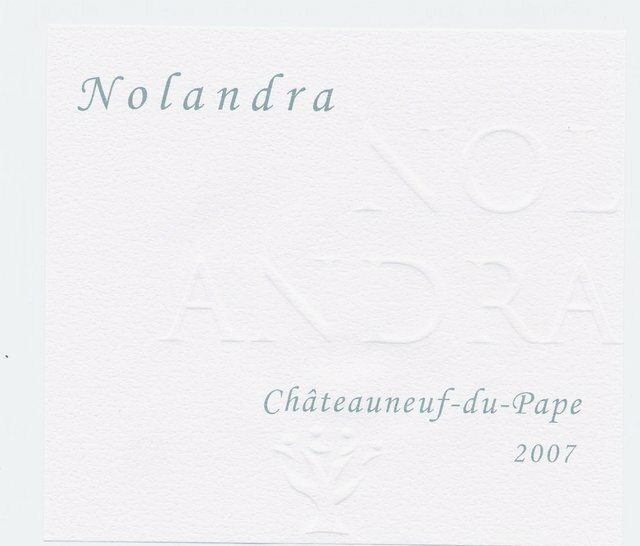 This is the alchemy of Cuvée Nolandra. A wine you have to taste to truly understand.